The Council was asked to review the district’s services for students with disabilities and provide recommendations to improve performance and narrow the achievement gap between these students and their nondisabled peers. This report was designed to help SCUSD achieve its goal and to maximize the district’s capacity to educate all students effectively. This report is a review of Buffalo Public Schools' services for students with disabilities and provides recommendations to improve those services and narrow the achievement gap between students with disabilities and their nondisabled peers. 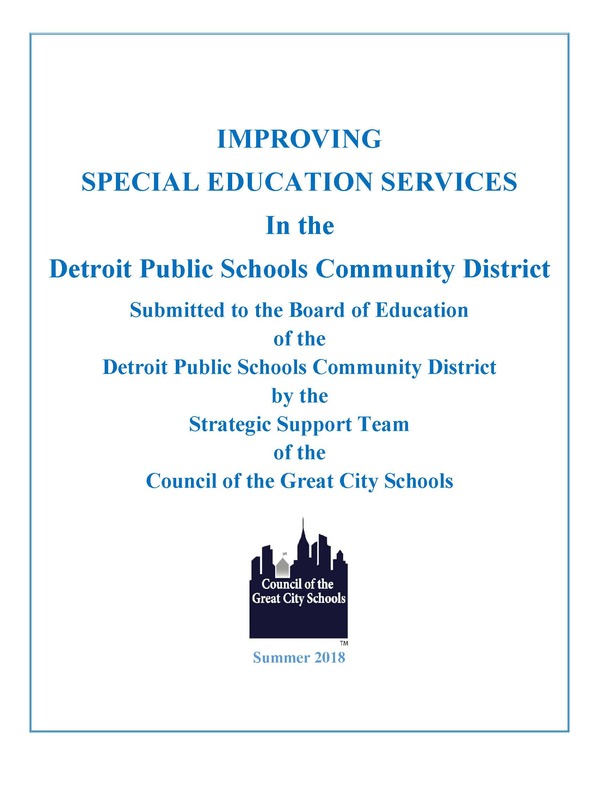 This report presents the Council's findings, along with recommendations to strengthen the district's general education interventions and special education services for its students with disabilities.